Apple's iPhone has been named the UK's coolest brand for the year in the latest CoolBrands survey. The iconic handset has been in the news because of the end of its exclusivity with O2, and new seller Orange will be delighted that it is not arriving to the party after the cool has left the room. 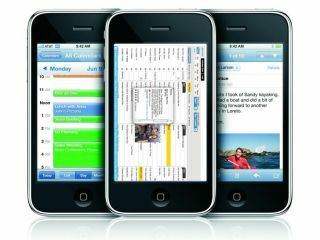 Not content with taking top spot – Apple itself was identified as the third best brand and iPod was fourth. Last year's coolest Aston Martin dropped into second and the likes of Nintendo (fifth) YouTube (sixth) and Google (eighth) also featured in the very tech heavy top 10. Stephen Cheliotis, Chairman of the CoolBrands council and Chief Executive of The Centre for Brand Analysis commented: "Aston Martin has finally lost its top spot in the rankings but only just. "In fact considering cool is seen to be very fluid and changeable the top twenty shows remarkable consistency with fifteen of last year's top twenty in there again; equally most of the category winners are the same – so much for cool being a fleeting thing." Other tech brands that were listed include BlackBerry, Xbox and BBC iPlayer. Cool.